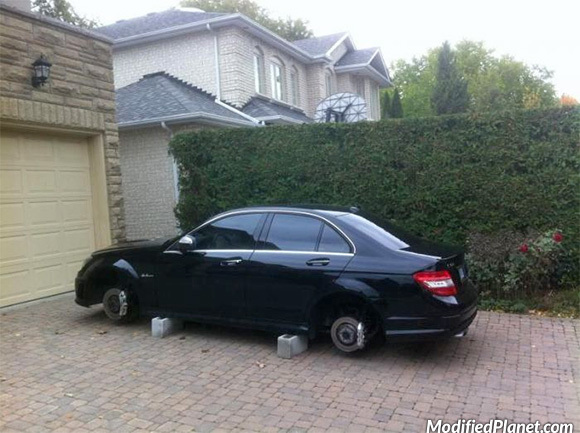 Owner of this 2011 Mercedes Benz C63 AMG got his wheels stolen and the thieves left his car sitting on cinder blocks. 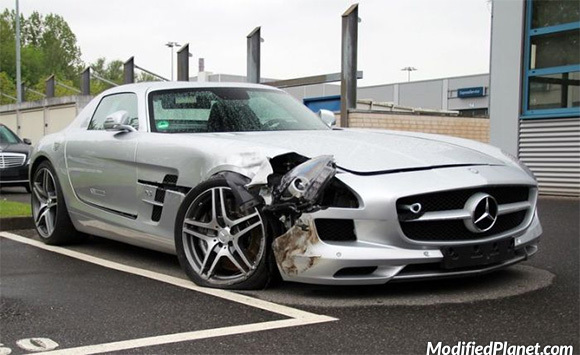 Owner of this 2011 Mercedes SLS AMG lost control and destroyed the passenger front corner of his car. Car fail. 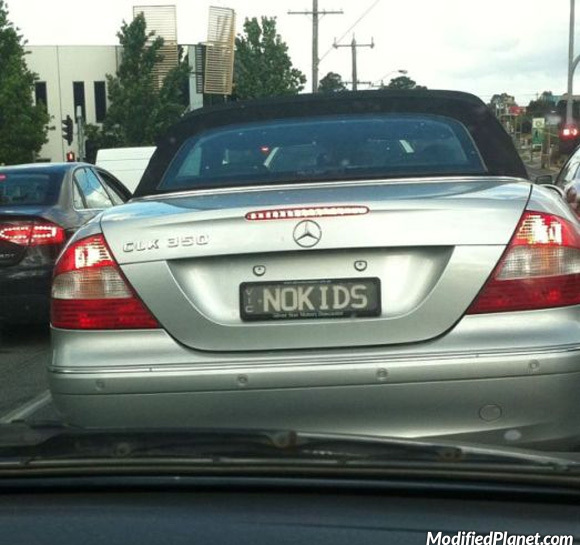 Modified 2007 Mercedes Benz CLK350 featuring a funny license plate that reads “NO KIDS”. 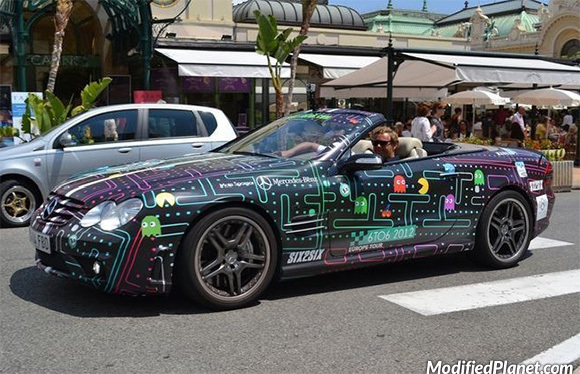 Modified 2007 Mercedes Benz SL65 AMG wrapped in Pacman stickers. 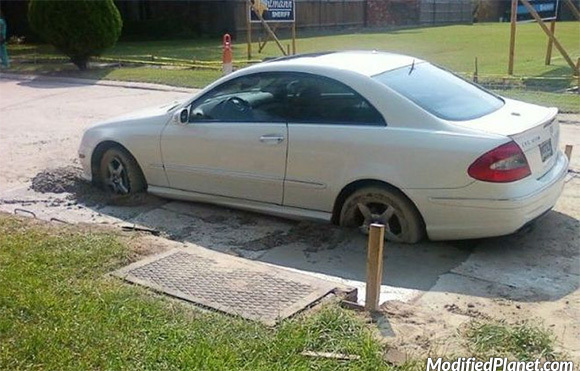 Owner of this 2007 Mercedes CLK 550 drove straight into wet cement and got stuck. Car fail. 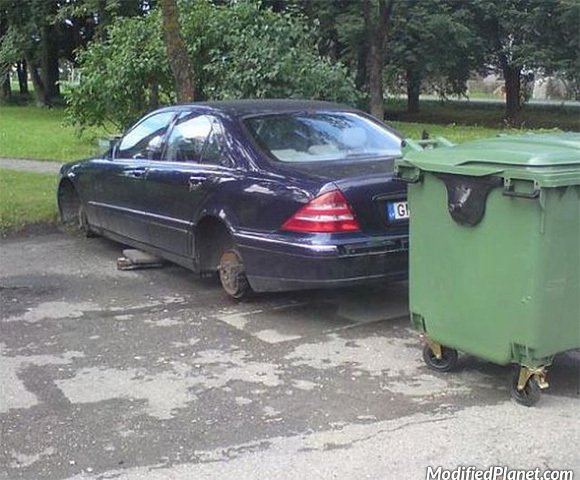 This 2003 Mercedes S500 got its oem wheels stolen and left standing on bricks. Car fail. 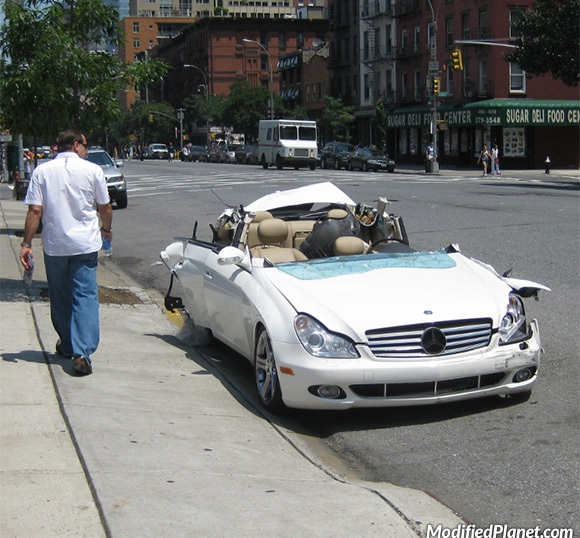 Not sure what happened to this 2008 Mercedes CLS 550 but the roof was removed using the jaws of life. 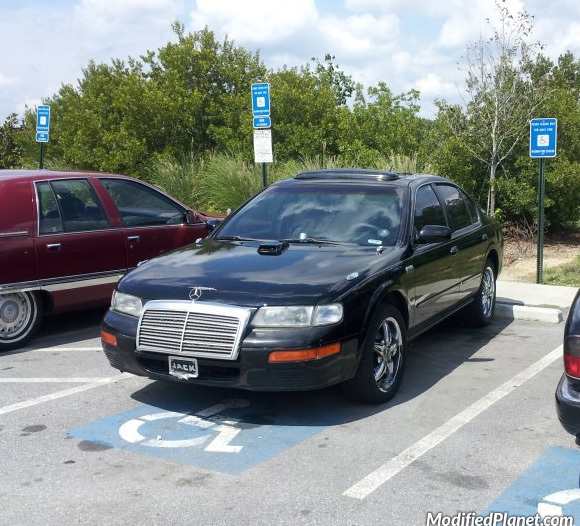 1993 Mercedes 300E front grill installed on a modified 1996 Nissan Maxima. Car fail.